Taking a gap year? Nope, neither are we, but it doesn’t matter because Burberry’s luxe nylon rucksacks are about so much more than a scruffy Thai bar crawl. Trimmed with tan leather and, ideally, monogrammed with your initials, it’s the hand luggage item of choice for fashion’s jet set this summer. From £695, Burberry. You’ll have seen the hoards of street style stars twirling gleefully around fashion week with their Hudsons – all swooshes of rainbow fringe. 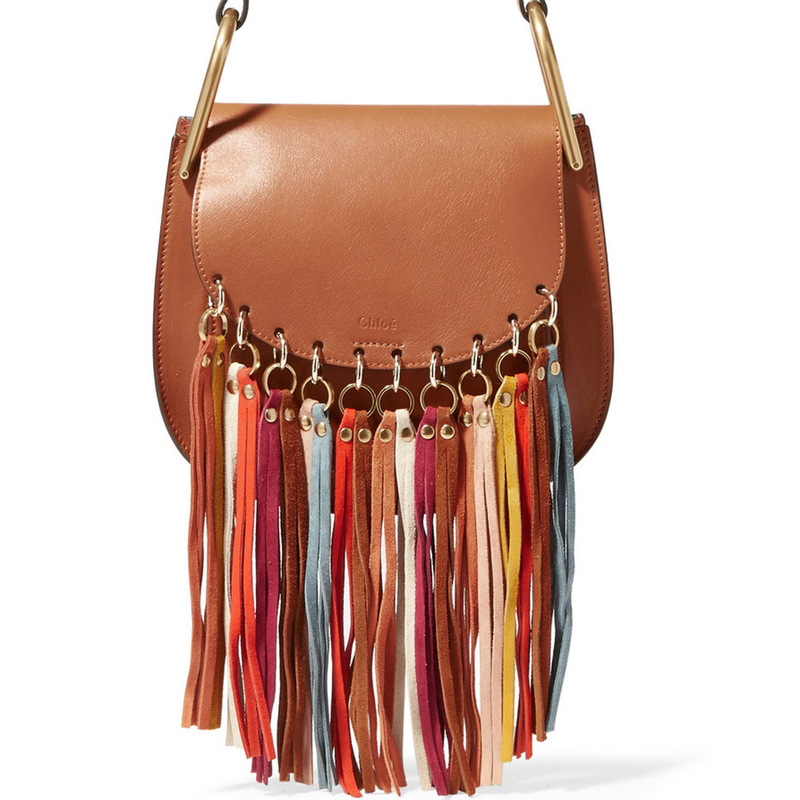 A tassel covered saddle shape, this hot bag is tinged with Seventies vintage vibes – see also, its IT little sister, the Jane messenger. £1,395, Net-A-Porter. 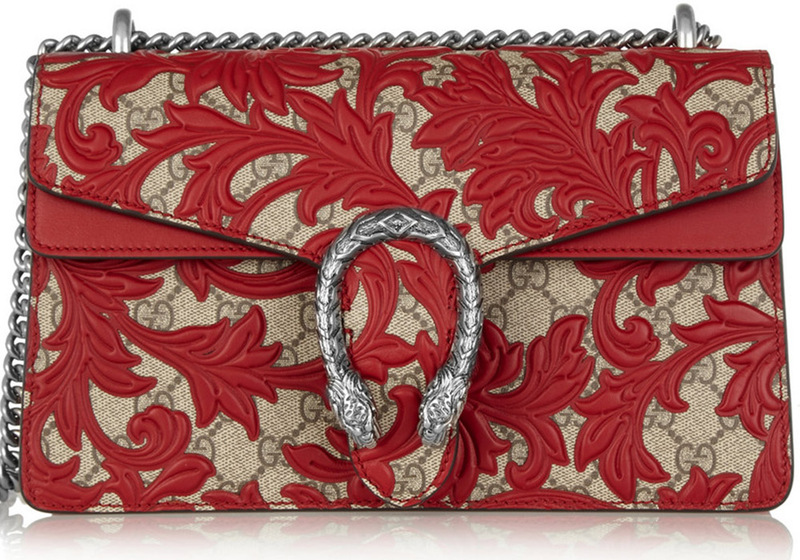 It’s all about applique for Gucci’s designer Alessandro Michele this season, evidenced in his gloriously decorated Dionysus bags. Pictured below and top, from £1,800. 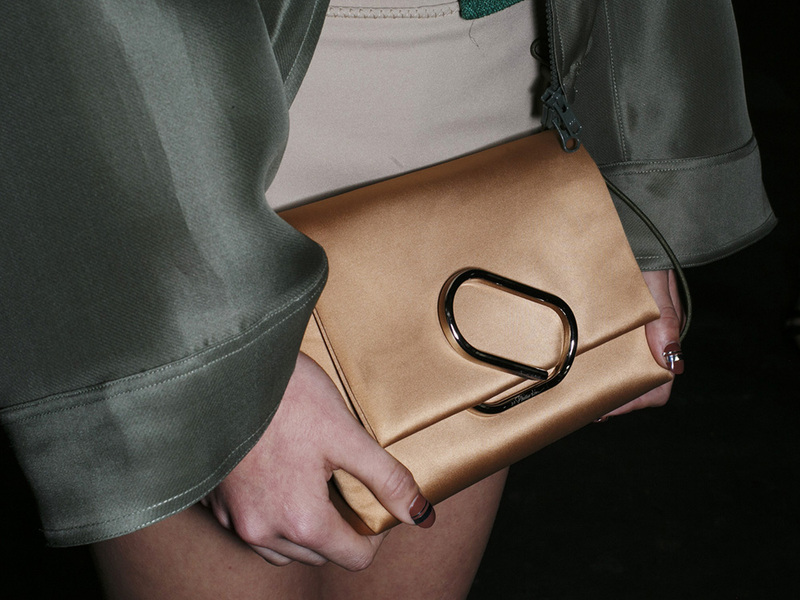 Clever Phillip Lim has twisted one of the most basic things, an office paper clip, into a statement fastening that the street style set are going mad for. 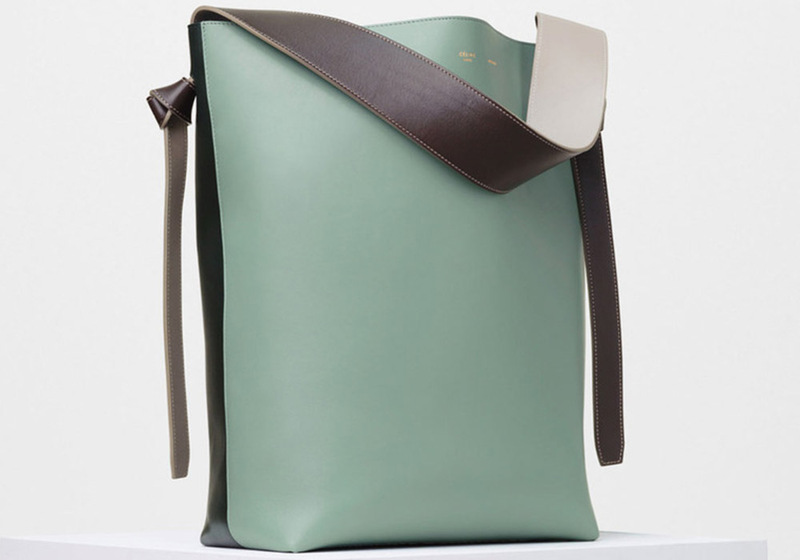 From £525, 3.1 Phillip Lim. All together now, ‘Oooooh’. Celine’s hit of the season is this supple bucket shape with knotted strapping, which comes in delicious colour combos aplenty. 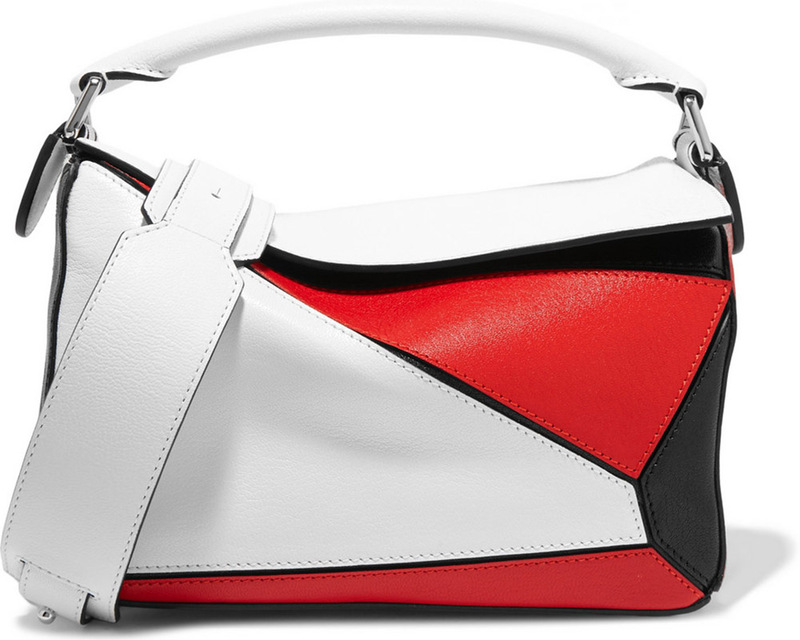 £1,300, Celine. Spring has officially arrived – and can you think of anything better than Anya’s punched rainbow clutch to put a smile on your face? No, we can’t either. 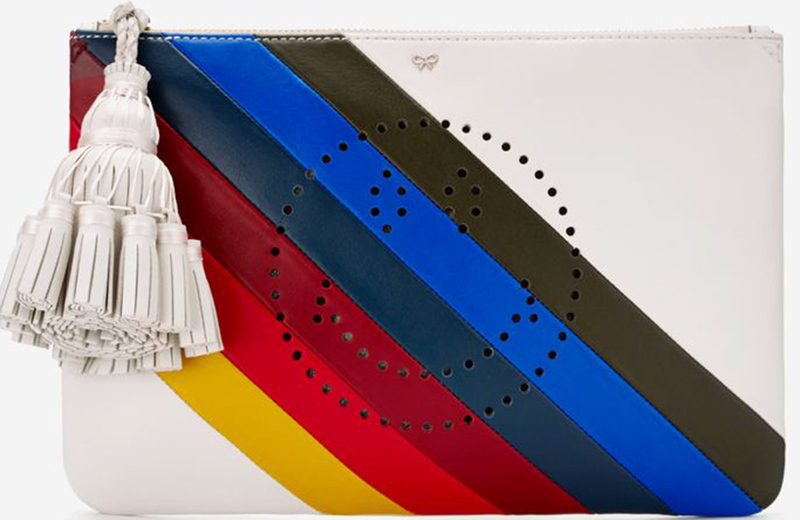 £695, Anya Hindmarch.